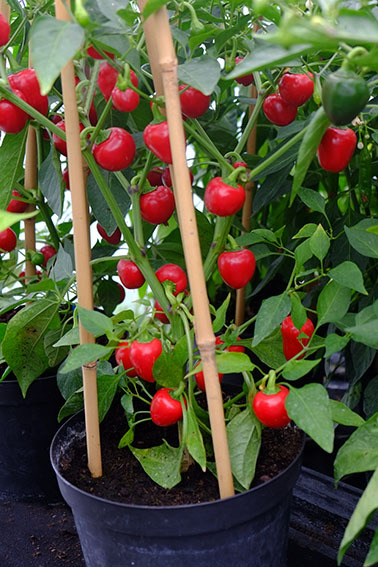 An exceptionally early – they are always the first to have red chillies – medium-sized, productive plants. The fruit are juicy and sweet; excellent for stuffing. 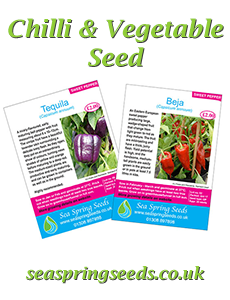 A suberb variety that is both exceptionally early and easy to grow. Plants produce masses of round fruit (3-4cm in diameter) that are thick fleshed, sweet flavoured and ripen from green to a bright attractive red. With a heat level that is mild to low medium these chillies are perfect for stuffing.